USB DAC Functionality (macOS) - UPDATE! I finally managed to get the USB DAC functionality to work. Despite having already tried different cables (including the one that Questyle ship in the box), it turned out the problem WAS a cable issue. Diagnosing this was made more difficult by the fact that the other cables worked fine for charging and data transfer - just not for use in USB DAC mode. Re-testing this shows the same behavior still. The cables that are now working are nothing exotic (one Amazon Basics, one Anker). No actual configuration was required, and the unit correctly reported it’s capabilities to Audirvana+ and Roon, as well as to Core Audio. The unit charges at the same time is playing, which means you can run it at your desk/off your laptop, and when it comes time to disconnect you’ll have more power available than when you started. There does not seem to be a way to make it not charge while playing. Playback in USB-DAC mode is audibly indistinguishable to when playing form internal memory or from a microSD card. Which is to say the sound remains excellent! One recommendation … don’t have your ear phones in when you connect it to your PC/Mac, as when it switches to USB-DAC mode it often makes some bizarre squealing noises. This only happens as you plug it in and the unit is otherwise perfectly behaved once it has initialized. I tested using both macOS 10.13.6 (High Sierra) and 10.14 (Mojave) and it worked perfectly with both. Starting playback is met with some clicking (through the heapdhones/IEMs). This does not persist into the music actually starting. This is the case with both PCM and DSD content, regardless of bit-rate. Any quick impressions compared to the WM1Z? I’m looking to pick up one of the two used. The QP2R is just over half the size and about half the weight of the WM1Z. The Sony has at least double the battery life of the Questyle unit. You’ll get Bluetooth DAC and Bluetooth output capability from the Sony, also. Both can operate as USB DACs with the latest respective firmwares. Both are solidly built, but the rattling of the scroll-wheel and volume control on the Questyle make it feel less so - but the Sony is a brick (literally) and the most solid DAP build I’ve ever seen. The Sony has 4x the on-board storage at 256 Gb, and with the latest microSDXC cards can mount a total of 768 Gb, versus at most 576 Gb for the Questyle. The QP2R has a very basic interface, more like a classic iPod than the modern touch-screen stuff. Navigation is much slower (not due to UI lag or anything like that, it’s just a less efficient model). Though it has configuration options for just about everything you can think of (down to which direction the volume control uses for up vs. down). The UI on the Sony is excellent, with very fluid, rapid and flexible navigation, a much better, brighter, sharper and larger screen. I think the QP2R works best for starting and album or playlist and just listening. Once you start interacting with the unit the Sony units give a better experience. Sound wise, in terms of raw signature, the QP2R is classic AKM4490 “Velvet Sound” but with an unusually dynamic delivery. Which makes it less neutral than the WM1A. Vs. the WM1Z, which has a richer, more liquid, delivery - especially in the mid-range … and a slight, general, sense of overall warmth - without resorting to low-end bloom/emphasis to get it. That is using both of the Sony units in their “Direct” mode, with none of their proprietary processing enabled. The WM1Z, if you have an uncapped version, does a more convincing job driving more demanding loads, and exhibits less noise (almost imperceptible) with fussy multi-driver IEMs. I much prefer the 4.4mm balanced connection on the WM1Z to the 2.5mm one on the Q2PR. I’ve seen far too many broken 2.5mm sockets in my time to want to use that connection on the go. I have a personal preference, for everything except size and weight, for the WM1Z. 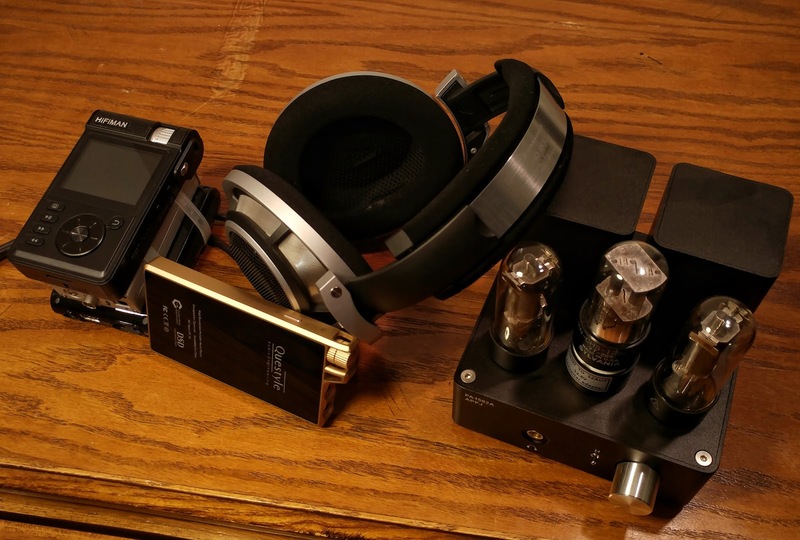 I don’t know that I can say I think the difference in sound is worth the $2,000 difference in price (maybe $1,500 difference if both units are used), but as an overall package the WM1Z is my personal DAP of choice currently. Oddly enough, I took the QP2R to “the office” today … since I have the Yggdrasil I usually keep there at home to take some pictures for an upcoming review. Feeding the Massdrop x HD58X and HE4XX (particularly clean), both of which I picked up for an entry-level setup comparison, it did a really nice job. Able to attain more volume than I needed (though needing high-gain and high-bias settings to do so properly with the HE4XX), and still maintaining decent authority and composure while doing so. I’ll say that I still think the sound is generally excellent, and better than many AK4490-based DAPS … especially when it comes to dynamics. I do not care for the navigation on the unit though. While simple, consistent, and easy to understand (unlike, say, the “Calyx M” - which to this day holds the distinction for the most incomprehensible UI I’ve seen in a DAP), it isn’t 2001 anymore. My issue isn’t with the scroll wheel … though that’s definitely a “Marmite” thing at this point, it’s more about the lack of scaled/accelerative scrolling. And for the second time since I’ve had it, it decided to reset itself today. Powering it on resulted in it coming up on the language selection screen again, with all of its settings back to the defaults. No clue what causes this - I have to assume some random bug in the OS on power-up as it has never crashed or frozen (etc.) during use. How have you been liking these? I have a pair also and find them to be great intro headphones, and a newby recommendation for jump in point along with the HD58X. They’re quite good. The top end can get a bit uncouth, and there’s some reticence/lack of presence, but the mid-range is pretty neutral and the bass is clean and flat. Not a bad introduction to the planar world, and without having to put up with an overly warm/dark delivery that has been a bit of a trademark for entry-to-mid-level planar cans for too long now. Ironically they feel better built that some of HiFiMan’s much more expensive cans. I do take issue with HiFiMan deciding to put the connector entry in a little recess though … as it’s far too shallow to offer any kind of strain relief or protection at all, but just deep enough to seriously limit what connectors can be used with them if you want to use other cables. That was just dumb. They’re also a nice complement to the HD58X, which tends to be a little more resolving, but is less comfortable (unless you bend the headband … I still think their out-of-the-box clamping pressure is a bit too much), and not quite as even from the midrange down, and doesn’t have quite the same bass extension. Both are solid choices, and getting similar performance to either would have been more expensive a couple of years ago to what it would now take to build a full system around them. I have had a couple of the HE4XX and none of the cables that came with them worked, Massdrop was good about giving me a credit for one of them the other I didn’t bother with reporting it. Other than that I’ve found similar experiences with them that you describe. I found nd them to be well built and sound great for the cost. I also usually like.p them together with the 58X as my “just buy these” to people just jumping into headphones. I may get have to add the NiBL to that also, or maybe the G.SDAC and Monoprice Cavali liquid. Good to hear the HD 58X and HE 4XX are good compliments. I need to reintroduce both back into my collection as the HE 4XX I had previously still stands as my Go to 1st Planar recommendation. Non the less, I had a chance to review the QP2R a while back and found myself quite enamored with it! 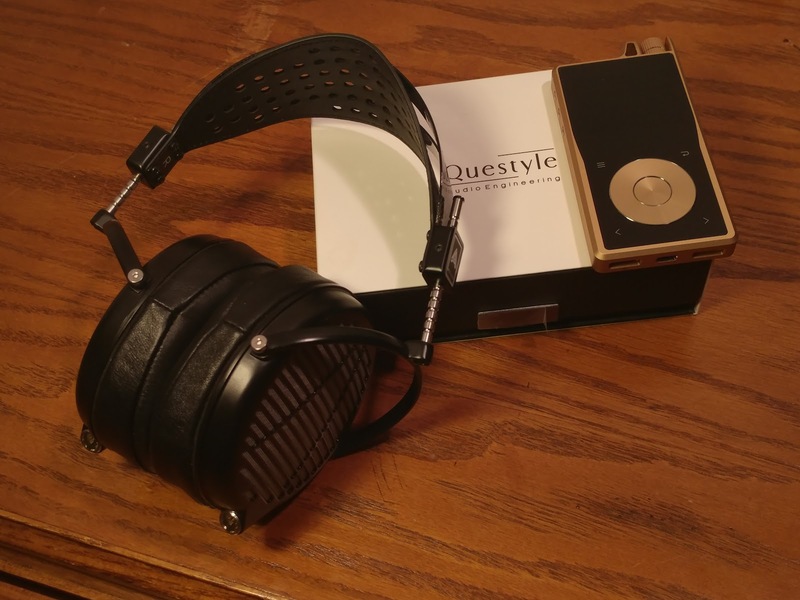 Without further ado let’s dive into the Questyle QP2R! Packing is modest and it does the job, also a thank you to Todd The Vinyl Junkie for setting up this QP2R Tour! So some background on the Questyle Dap, unlike traditional circuits, Questyle opt for Current Mode amplification. In short if my understanding is correct, the Voltage levels are fixed and the current is what amplifies. 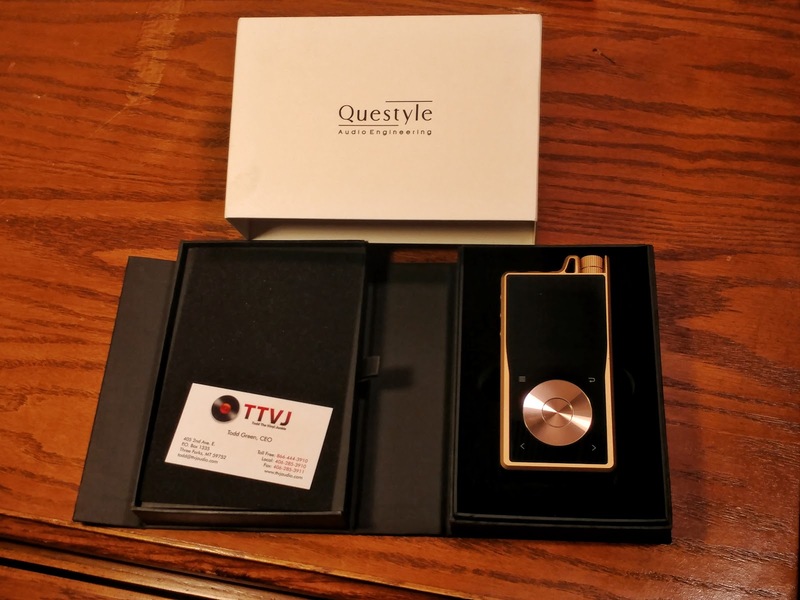 Unlike a traditional amp design in which the Current is Fixed and the Voltage is what’s amplified, either way it operates in a pure Class A “current mode.” The Questyle website has more information for those inclined! Another unique feature of the amp is the Bias Control, again when the amp’s under a heavy load setting the Class A Current Mode Bias to High helps to eliminate high frequency harmonic distortion. An most of you know that excessive distortion translates to noise, so any time we can reduce added distortion there are audible benefits assuming the load is “heavy” enough. Either way for my listening purposes I kept it set to High always. As a result battery life has been a little less than what’s quoted but nothing too unmanageable. Seeing as this is my first foray into Top of the Line Digital Audio Players I tested this one again’st quite a few of my own home systems and headphones! How ever I only listened to the QP2R with it’s 3.5mm Single End and 2.5mm Balanced Out. I didn’t test it as a USB Driver Dac Amp nor did I use the Line Out Settings… but I think you need the HiFi Hub to get that feature… which I’m not a fan of. With the HiFi Hub the total cost of the unit creeps upwards of $1700, and while price isn’t my concerns it’s the very stationary and cumbersome nature of the Hub and the price increase I don’t like. I got portable for well portability! Having a built in LineOut without any additional bulk means a lot to ME and those who will be using this as both an analog and digital source. Non the less though, at it’s $1300 price point functioning purely as a standalone Digital Audio Player I do have to admit it’s performance is stellar! Well worth the asking price. Listening to Epica’s The Divine Conspiracy I heard details in Simone and her husbands voice I’d not heard before! Good power and slam with exceptional texture! With some a little more efficient I felt the QP2R really shined, it’s natural and smooth but still dynamic and detailed presentation came through better with the Gain set to medium or lower and with more efficient current hungry planars than more voltage hungry dynamics like the HD 800 which often couldn’t quite get to reference listening levels nor maintain a solid low end. So much so that there were some details presented to me by the QP2R that I’d not heard before out of my own home system! So simply put, Questyle’s newest reference digital audio player does everything we’d want it to! In my case it replicated and sometimes exceeded the quality of my own home system! It’s only faults lie in a slight lack of power overall and definition down low. Switching to my home system some of what’s gained or clearer in the mid range and up becomes some what less vivid but there’s added vividness and clarity down low. So again, I’m impressed given how small the unit is that it keeps paces with my current reference system. Non the less, let’s get into more specifics on how the QP2R compared to my other systems! Both portable and desktop. So that kinda threw me for a loop! As it would seem the QP2R handles what I would consider moderately difficult loads best. As with the sensitive ES10 and the Difficult to Drice LCD 2 PreFazor it didn’t wow me like it did with the MX4 and HD 800. However the tonality and timbre were noticeable drier and kinda shouty?! 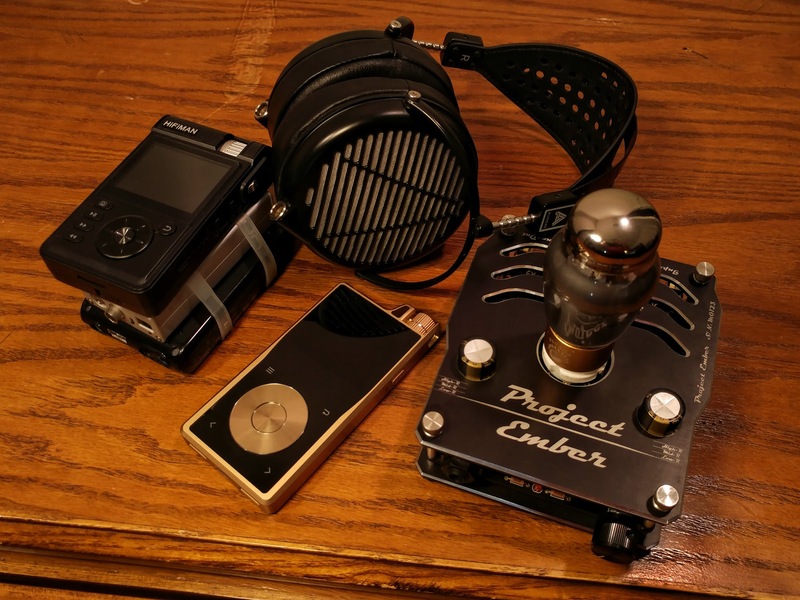 All in all I’m finding that I prefer my PreFazor LCD 2 on both of my ESS Sabre portables that have the high Frequency roll off digital filters. So all in all I feel that with more modern offerings the QP2R would do well, with loads that are more standard. As the ES 10 is hyper efficient and the LCD 2 PreFazor on the opposite end of the spectrum. 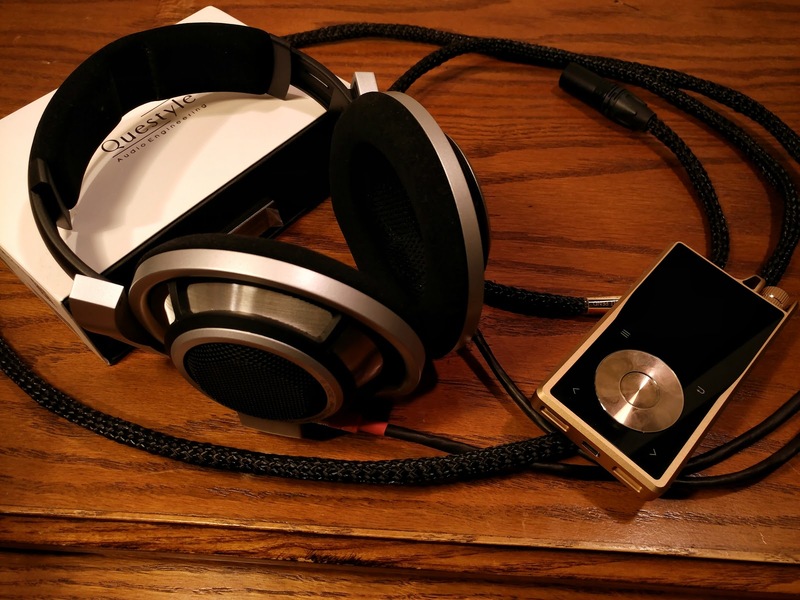 So cans like the LCD 2F would pair very well with the QP2R as would things like the DT 880/1990 and Hifiman HE 560. Though let’s move upwards to other TOTL systems in my home! 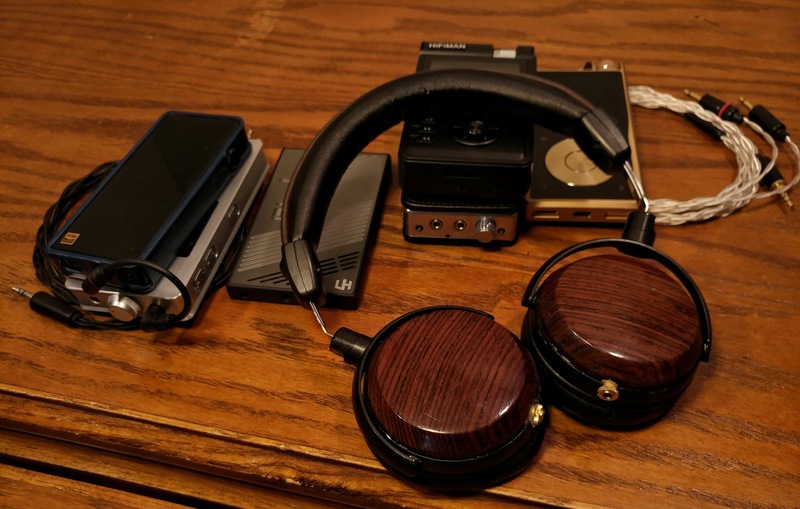 But overall with my HD 800 I can say for the vast majority of my collection the QP2R made for an excellent single box solution for some of you it’s added simplicity and blacker background may be preferential over having a bulkier portable system with slightly more noise but sufficient head room and more controlled lows. In either case Questyle certainly designed this product to very exceptionally match a desktop system on the go! All in all I’m quite impressed with the QP2R, while I found it’s lacking in some digital convinces as a purely analog digital audio player it’s excellent! Seeing as I personally prefer my DAPs run purely offline and exclusively in the analog domain I feel that the QP2R is totally deserving of it’s flagship status! 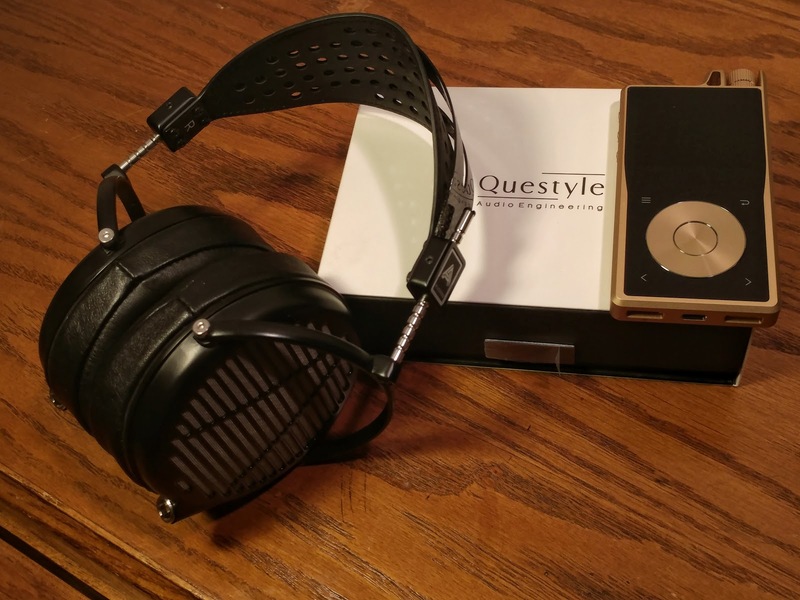 I’ve always been a dedicated DAP & Line Out To Portable Amp guy but with the MX4 and Questyle’s excellent on board current mode topology I could happily accept this as my end game reference portable! Nice write up and what a great read. There’s bags of info too. I use my Pioneer XDP-300r for offline listening to Spotify and my Flac’s. I love My Dap and find it very convenient. What version of Macbook (hardware) are you using. My QP2R when using the included cable works as a DAC on pre-thunderbolt-3 (usb-c style) macbook pro (2013). It doesn’t work when using a Macbook pro 2017 version which uses the new thunderbolt-3 ports. Neither via a hub and with the included cable connected to a usb-2.0 style port (it sounds like not enough data on the bitstream as you can hear sound just not clear, and it’s stops as if it’s waiting for a buffer to fill), nor using a regular usb-c -> usb-c, nor thunderbolt 3 via usb-c (40Gbps) cable by belkin. At the time, I was testing using a Mac Pro (the desktop cylinder) not a Macbook. It also worked fine on a late-2016 15" Macbook Pro (13,3) which has four TB3 ports via USB-C as well. Haven’t tried it on my latest Macbook Pro (current model), and won’t be able to for a few days. Using a Belkin Thunderbolt 3 40Gbps cable. Have tried usb-c -> usb-c, same issue. Once connected the QP2R doesn’t show as DAC. Only time it shows is if I use the included cable and adapters of sorts. Yet still not working as expected. Let me know what you find when you’re able. I just tried it off my latest (current), fully-loaded MacBook Pro (running macOS 10.14.3), using any of several standard USB-C to USB-C cables directly from the laptop to the DAP. Other than having to manually choose “DAC Mode” for USB in settings on the QP2R (firmware v1.0.4), every time I connect it (even though I leave it on that setting), it’s working fine. And this has to be done after I’ve physically connected it to the laptop. Plays and sounds correctly at that point. Unfortunately, I’m not having the same functional joy. The belkin cable, after wiggling it while connected to the macbook port, does cause the QP2R to register as a DAC (I have similar issues when connecting to a monitor via port - wiggle and the monitor comes on/back). However, when using the device (with/without music playing), I hear a frequent clicking sound as if the DAC output is impacted by the charging aspect of the cable. Using a USB-C to USB-C cable, it doesn’t register as a DAC. At first I thought it might be the Thunderbolt 3 protocol on Mojave blocking an unsupported device, however since I can hear the music (and see the device in the software report) it appears the device isn’t being blocked. Might be the 40Gbps aspect of the cable. Can’t say w/o understanding more of the protocol and the QP’s onboard driver. update: I’m leaning towards it being a hardware (TB-3) issue with the 2017 models implementation of TB-3. As at times it registers the qp2r as a DAC, other times it charges only…both scenarios using the belkin cable. Nada using a generic usb-c to usb-c cable. I’m really interested in picking up a DAP for the first time. I’m completely new to DAPs, and have been doing a bunch of research. A&K is the go to name I know, as well as Sony. However, this has caught my eye as well. Do you guys have any idea which DAP hits the best price/performance ratio? The SP1000 is tempting, but…that price, haha. I would say the A&K SR15 is the sweet spot for price/performance. You get every feature imaginable, including streaming from TIDAL, Qobuz (and most of the other major services), in a tiny, fluid, fast package. About the only thing it doesn’t do is work as a Bluetooth DAC (it can transmit to a Bluetooth receiver/headphones though). It’s barely behind the QP2R in terms of sound, and then only in that the QP2R is a bit more dynamic. Tonally the SR15 is actually purer than the QP2R, which has AKM’s “Velvet Sound” going on (a bit of added warmth/bloom on the bottom end), and the A&K has a quieter output stage to boot (though also higher output impedance). The QP2R sounds excellent, as long as “Velvet Sound” works for you. Where it falls down is on usability. The most egregious fault is in navigation, which is slow and annoying. That scroll wheel suggests an original iPod-like navigation experience … but the QP2R doesn’t accelerate it’s scrolling like the iPod did. So instead of it taking 3-5 seconds to get through a 10,000 item list, it takes minutes. It’s not laggy (the UI is quite responsive), it just requires one click of the encoder per item. Even if you turn on paging and use the buttons, where it skips a screen full of items for every press, it’s still a pain to find things. Unless your mode of listening is to play a whole album or playlist at a time, that will likely become grating very quickly (it did for me). The SP1000m sounds, as far as I can tell, identical to the SP1000, and is a much more practical size for $1,100 less. Features are identical. If you want streaming capability, and don’t want to have to involve your phone in getting it, then the two A&K options (and probably the SE100, though I’ve not had my ears on one of those yet) are the way to go. The SR15 sits around the same level as the Sony ZX300 and WM1A. The WM1A is slightly better sounding (detail, micro-dynamics), otherwise there’s nothing really in it. Battery life on the Sony units is unbeatable. Thanks man! Very interesting info. There is a 1Z for sale locally on craigslist but the guy wants $4000CAD for a used unit! crazy. If your 1Z is sitting mostly unused and needs a new home, I’m open to donations ! haha. I have just had another look at @mshenay’s review of the Questyle QP2R and I have to say it’s one of the best I have seen anywhere. I can clearly see all the work that went onto it. For me it sets the standard that I need to aim at when I do my next review. I’ve recently been going over the Review Guideline Document that @Torq has made. 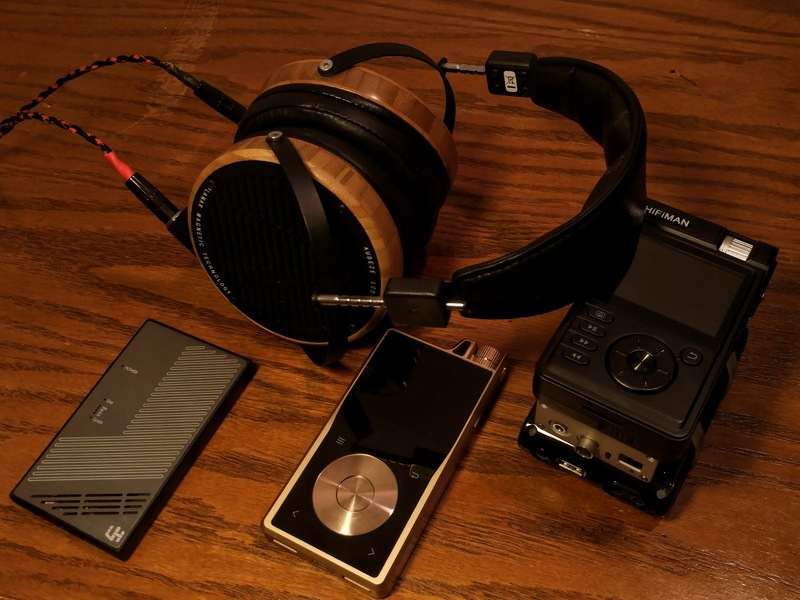 It’s a really well written piece and lays out clearly all the things that one should try to include when reviewing Audio Gear. It also lets us know what is not so good to include. I for one never appreciated just what went into a well written review. It isn’t an easy undertaking or one that can be rushed. I have grown to appreciate well written articles and reviews much more. That’s more than the bloody things cost new. I wouldn’t say that it is “mostly unused” - it just doesn’t go with me on trips anymore. Now it’s the SR15 or the SP1000m, depending on the nature and length of the trip. And if I have space for something extra, then I add the Hugo 2 and use the A&K players as transports, rather than taking the Sony along. Now, for running full-size cans, with much heavier cables, the 4.4mm headphone output on the Sony makes much more sense, so that’s how it tends to get used, here, at home and on the deck, as long as I’m not streaming music. Apple states that the “USB-C Charge Cable” it supplies in the box can only support USB 2.0 data transfer speeds (up to 480 Mbps) to another USB 2.0 device. The same USB 2.0 speed limit applies to Apple’s USB-C to Lightning cable. Basically, all the other cables I’m using either with USB-C termination suffer from having to use an adapter, thus causing throughput issues, or don’t have the right USB 2.0 protocol configuration and causes clicks in the audio stream (don’t know why).